Home > Ask Our Experts > Paying for Training Can I Claim Tax Allowance? Can I claim tax allowance if I pay for training which is essential to keep my job? 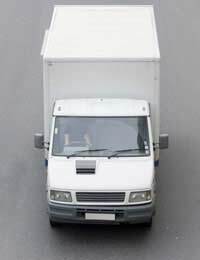 I refer to the training costs involved for individual LGV and PCV drivers who must do the Periodic Driver CPC in order to be able to drive for hire and reward. As employment figures fall, many people are frantically trying to retrain in order to better equip themselves for jobs. It is generally thought that training for employment carries certain tax relief. In the current climate your question is particularly pertinent. You mention that you are employed, and that the training in question is necessary in order for you to continue in that employment. Generally, if an employer is paying for your training, then relief is available on the amount that you would be paid had you been at work. However, there are a number of important caveats to this principle, some of which may mean that you are not eligible for relief. In the first instance, training is only eligible for tax relief if the expenses are incurred “exclusively and necessarily in the performance of duties”. As you will not be able to continue in employment without the training, this would seem to be clear-cut. This is not the case, however, in Perrin v. HM Revenue and Customs (2006). An accountant claimed relief on payments for course fees that he was required to pay in order to qualify (ironically) as a chartered accountant. HMRC refused to grant relief, and their position was upheld. It was established that expenses only attract relief if they are incurred “in the performance of the duties”, regardless of whether the employer will dismiss the employee if they fail to complete the training. Even in these cases, HMRC are likely to state that the expenses were not incurred “exclusively” in the performance of duties. As can be seen, the question of Tax Relief on training is a complex one. It is fairly safe to assume that, if you are footing the bill for the training yourself, and you are not being specifically paid for the training (HMRC stated that Perrin was paid for his work, not for the training), you are going to find it very difficult to successfully claim relief. That said, you should contact a tax advisor to discuss the specifics of your case. The Citizens Advice Bureau offers this service free of charge. @Connor - yes, it should be able to be claimed back as it is classified as a standard expense. We employ subbies to carry out installation works for our company on the underground, we generally pay for various certificates they must have to carry out there work. Can we claim back the cost of these courses.